Refer to your owner's manual for the specific location of your cabin air filter. Some are found in the engine compartment and others are located in the interior of your car, behind the glove box or under the dash. 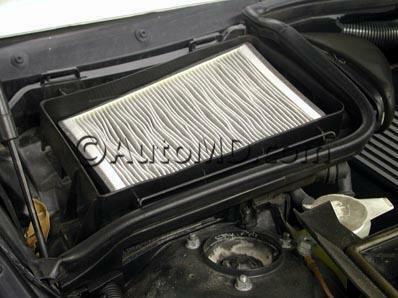 Note that some models may have more than one cabin air filter, so be sure to check both and replace them when needed. We suggest replacing them in pairs to eliminate the hassle of future occurrences. Loosen the box and inspect the cabin air filter for debris, dirt, leaves and other objects that are obstructing the path of air entering the cabin. Remove your old filter, clean the filter box and install a new filter. Secure the box. Run the A/C systems with the doors closed to verify the repairs.